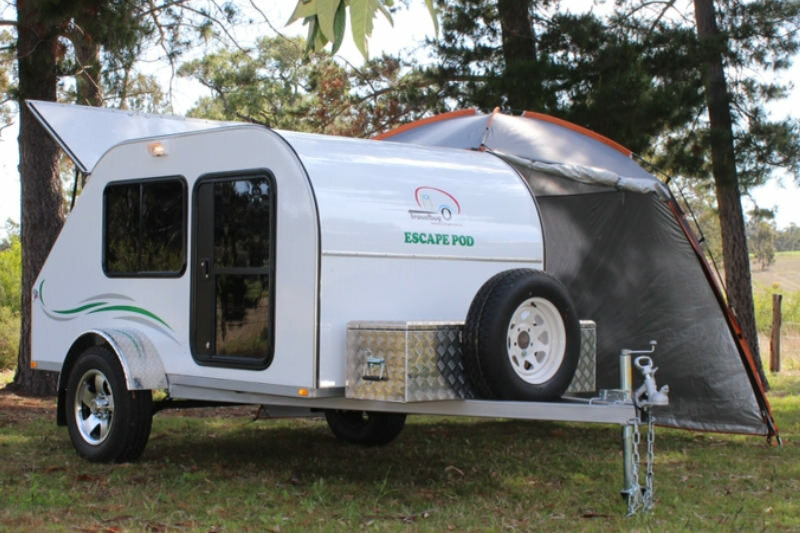 The Escape Pod Longreach teardrop style camper is our flagship model, all the best features from all our Escape Pod campers is packaged into this awesome unit. Queen-size bed internal cupboards/storage, big side doors and windows, full functioning rear galley with fridge section. 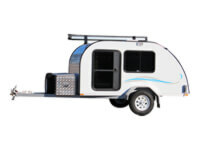 The best teardrop design we have ever built. 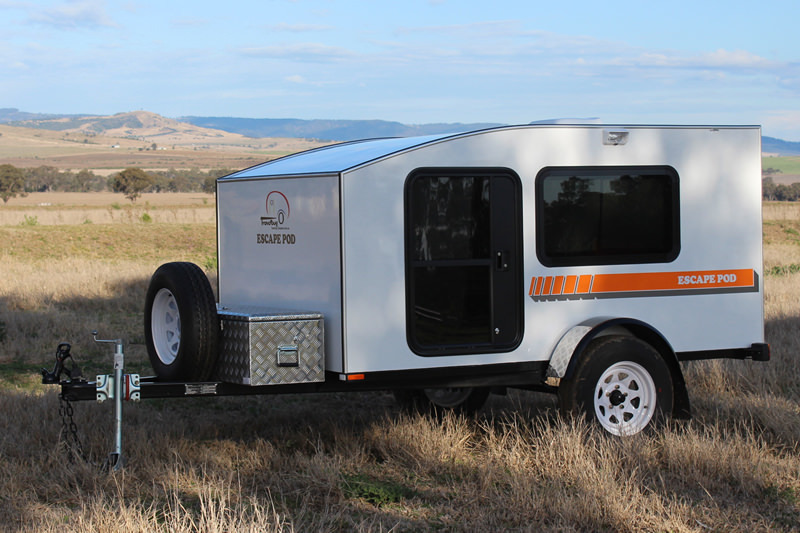 This is Travelbug’s new Escape Pod with classic aero shape and awesome kitchen/hatch design makes this teardrop one to be considered. Queen bed area huge side windows allowing unprecedented air flow and comfort levels. Ergonomic kitchen design with drawers and cupboards and a fridge slide out shelf. 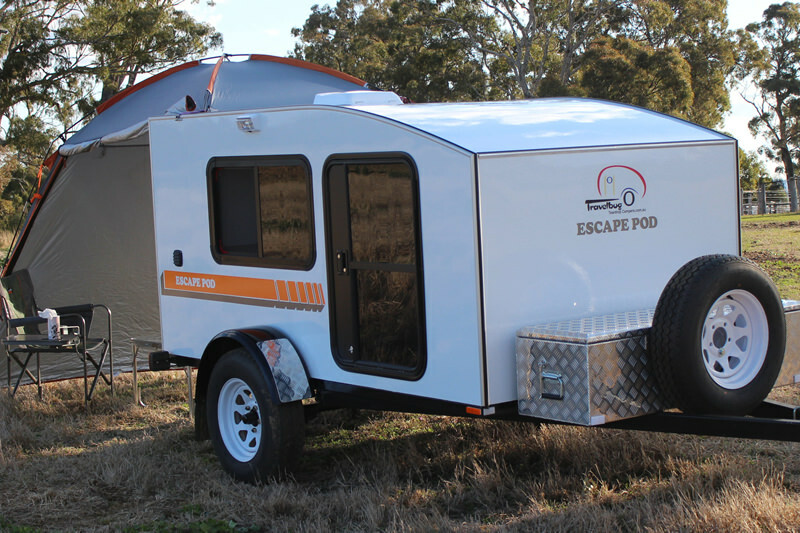 Size and space are abundant in this Escape Pod camper. 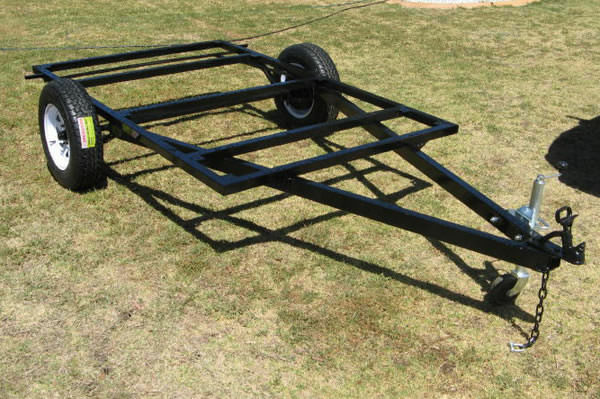 This is the best towing camper we have ever built. 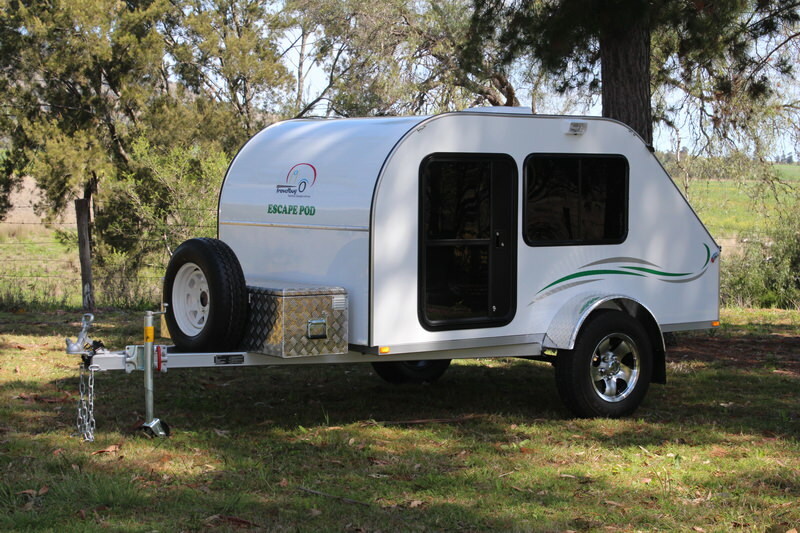 Travelbug’s new Snuggle Pod with a classic aero shape and awesome kitchen/hatch design makes this teardrop own the cutie factor. 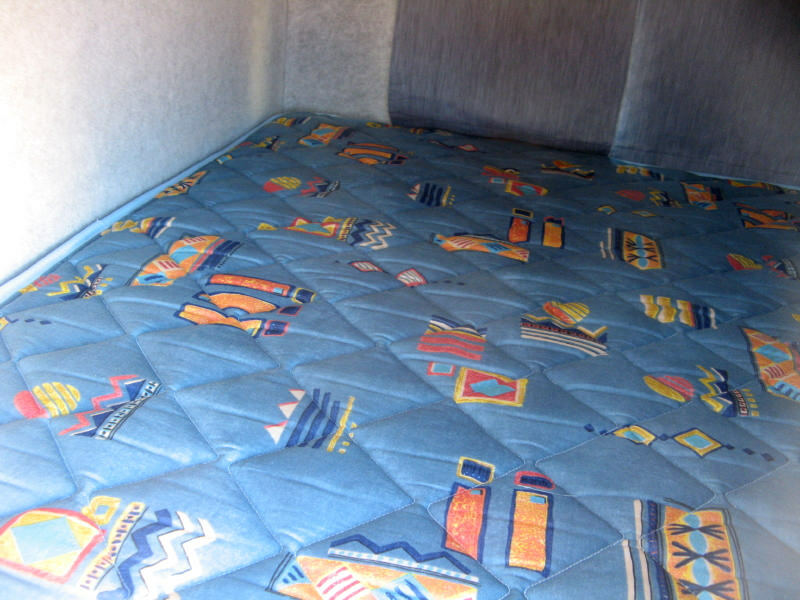 Spacious bed area, huge side windows, unprecedented air flow and comfort levels. Ergonomic kitchen design with two drawers and cupboards and a fridge slide out. Size and space are abundant in the Snuggle Pod camper. 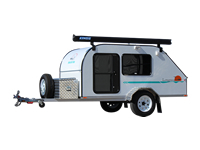 The best towing small car sized camper we have ever built. 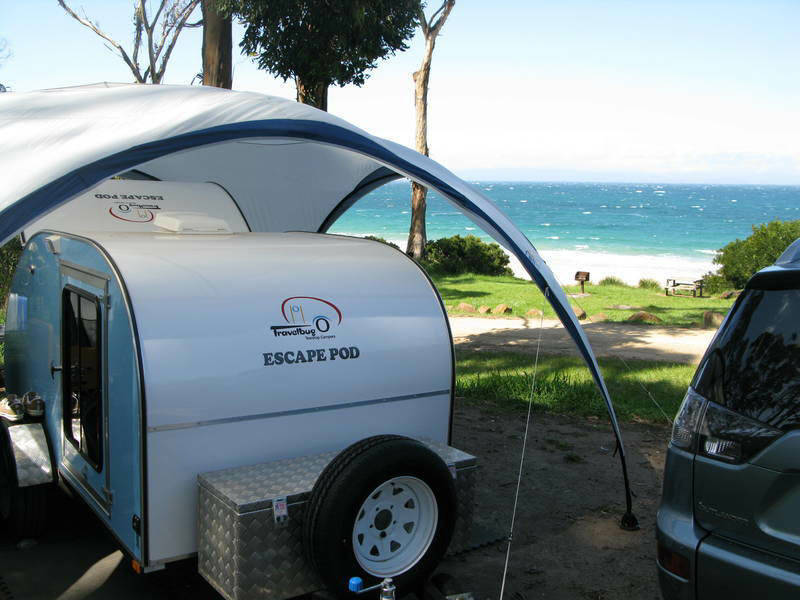 Adventure awaits with the AdventureMan teardrop style camper. Aussie built tough rugged design. 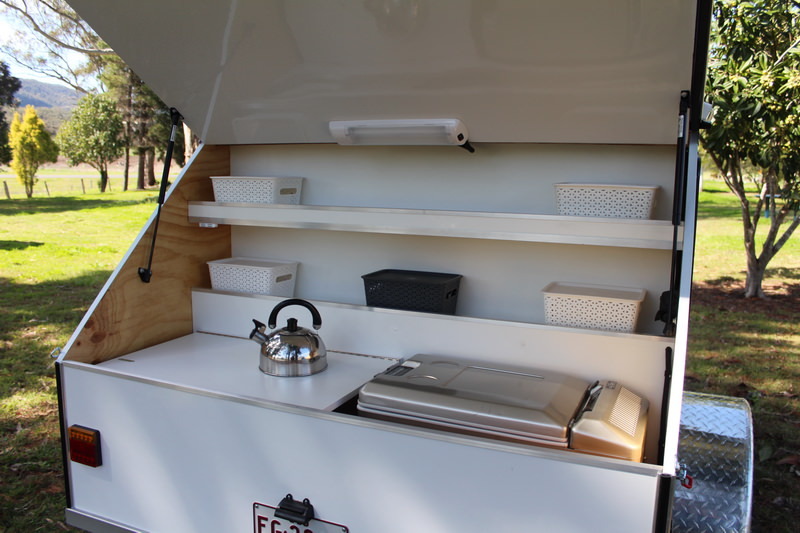 Purpose built for front bike rack, multi fit awning options, Large rear door reveals functional kitchen with cupboards, drawers and large fridge section. Queen size bed, inner storage and cupboards, USA doors and windows. Built for your outdoor getaway adventure. 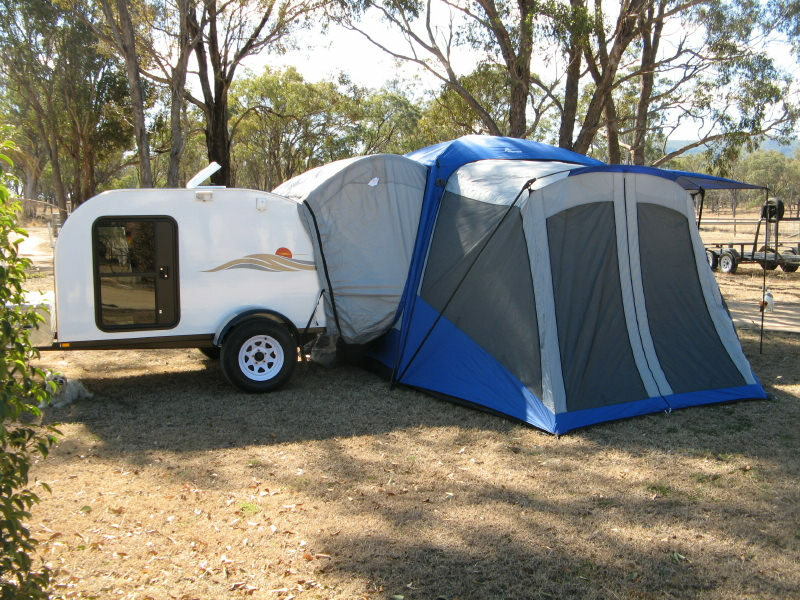 Discover Australia again the fun way with your Travelbug Teardrop Camper. 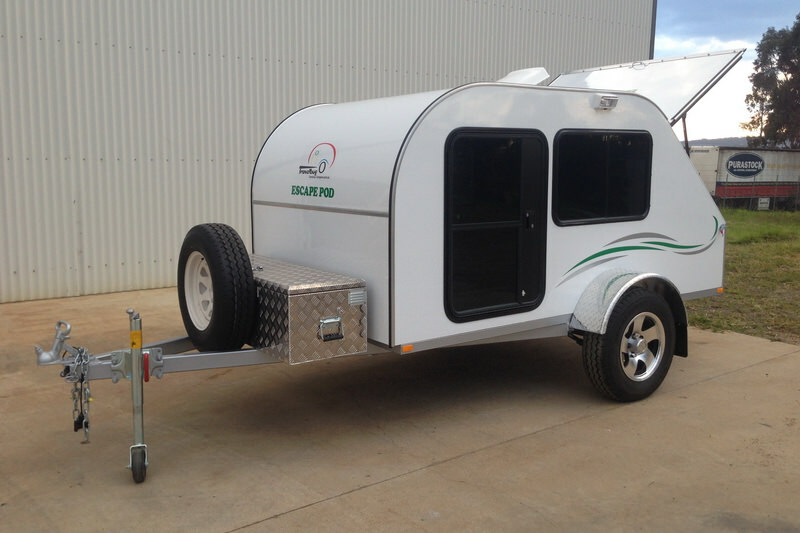 We are excited about the release of our new range of teardrop camper trailers. 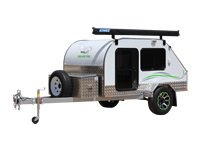 Our range of Escape Pod’s are the Longreach, ECO, DUO & Freestyler campers, all built on our tough galvanised Aussie made light off road chassis. 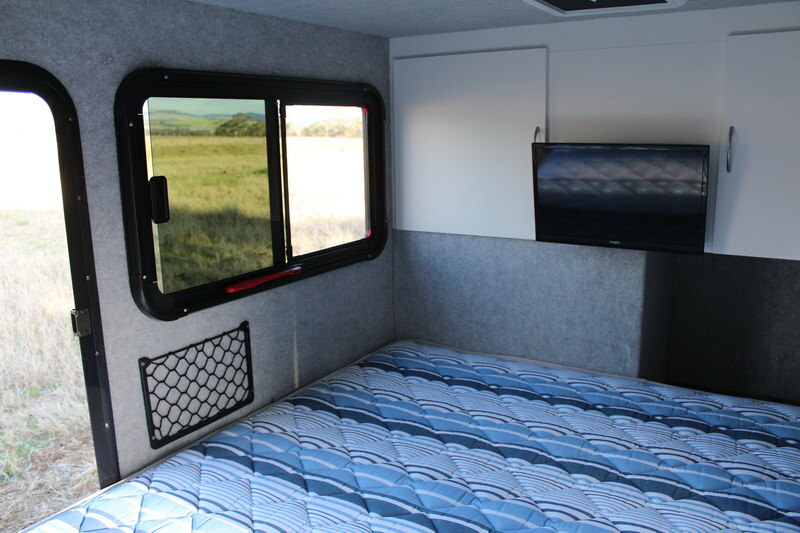 Our camper will fit the bill for many folk who'd like to get away for a couple of days but don't want to rough it in cold, drafty tents and the like. Ideal for travelling or holidaying in the great outdoors. 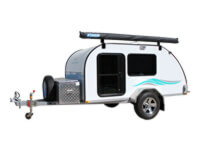 Whether you're hunting, fishing, or just kicking back, you'll love your Teardrop Camper. 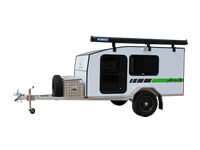 Travelbug has now released a new camper design! 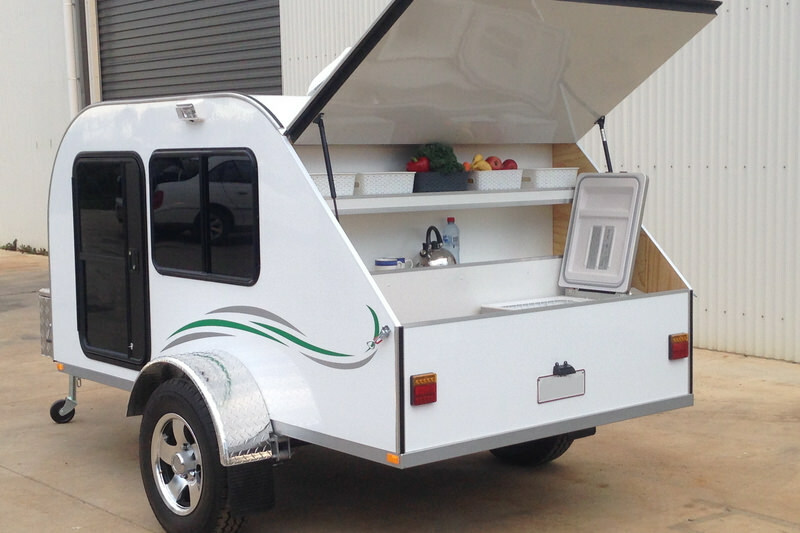 This new style of teardrop camper introduces to the Australian market - sharp aero dynamic lines, open roomy feel, coloured side windows and rear kitchen gallery at a base price of $11,900 inc. Unbelievable value . 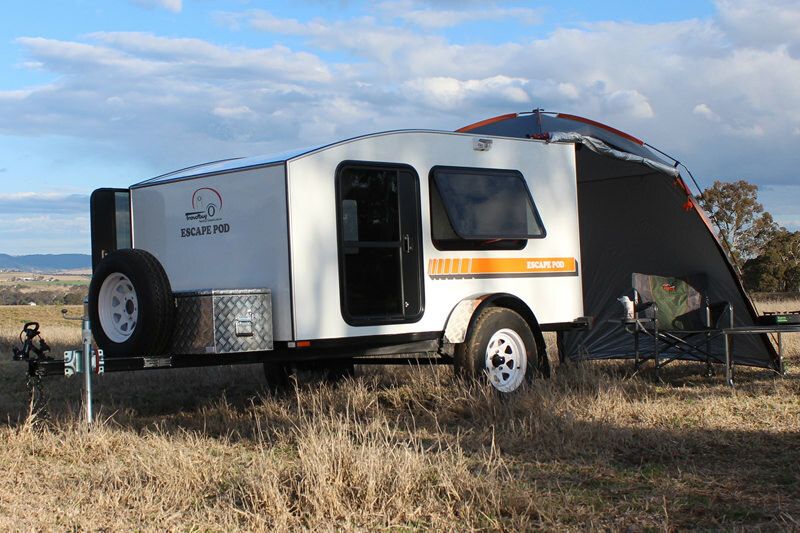 . .
Travelbug now offers the range of quick set Napier tents that attach to our Escape Pod campers, giving more room and comfort to your camping experience . . .
Comfy Queensize Inner spring Mattress fits all. Travelbug offers super comfortable innerspring mattresses in all our range of campers, "there's nothing like sleeping on a bed that's just like home" . . .